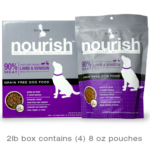 With 90% real, raw meat along with coconut oil, vitamins and minerals our simple recipes are designed to support a beautifully balanced and joyful life for dogs and cats. 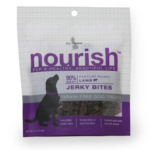 Sourced in New Zealand, nourish™ food is gently air-dried at low temperatures, in small batches, to naturally preserve the meat without using artificial preservatives. 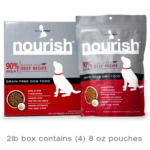 This process keeps the ingredients fresh so pets benefit from all of the nutritional goodness of over 90% real, raw meat, without the mess. Perfect as a meal, a topper or a treat, these savory recipes have a taste and texture even the pickiest of pets can’t resist. 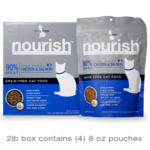 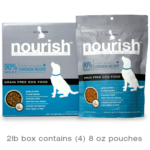 Each recipe in the nourish™ line was developed to support a healthy, beautiful life with simple, nutritious ingredients pet parents can recognize.